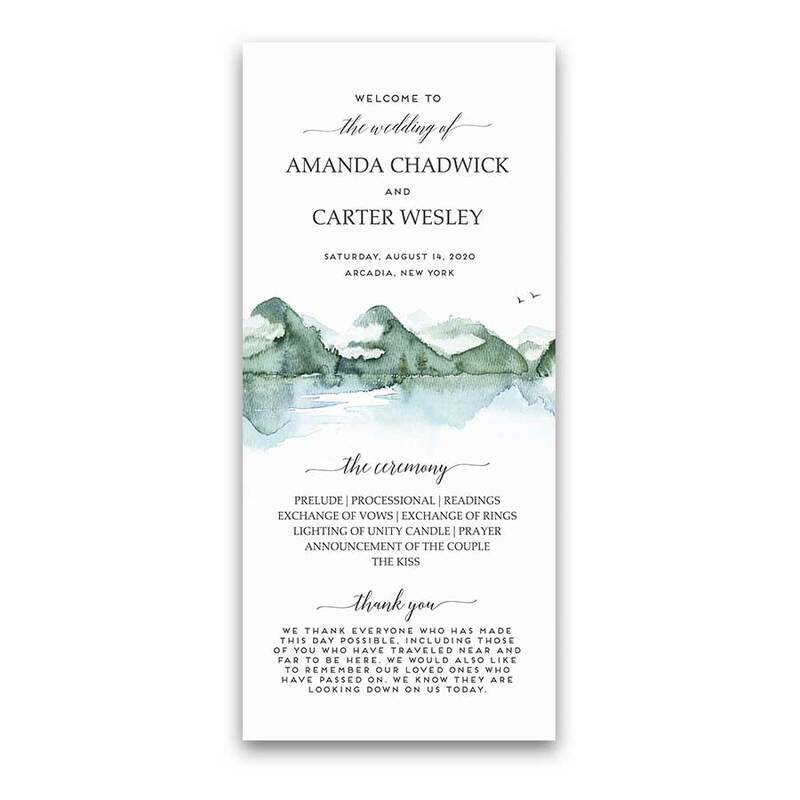 Provide guests with additional details they will need to prepare for your wedding day with the Guest Information Cards. The Additional Information Card provides you with an area to send a bit more information about your wedding. Even add a link to your wedding website where they can get additional information online. All signature guest information cards pricing includes signature paper white or cream envelopes. Please specify your envelope color in the notes to seller. To proceed please choose number of guest information cards. Mountain Wedding Information and Event Details Insert Card. The additional information card is a great way to add little extra information with your wedding set. 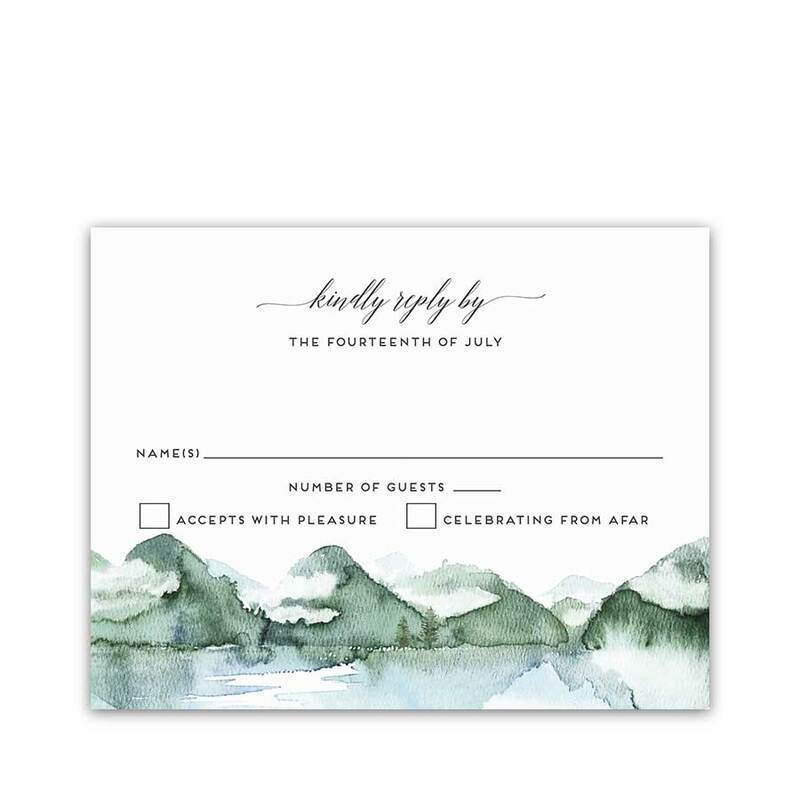 This unique Guest Information Enclosure Card coordinates with the Mountain Wedding Invitations Template Watercolor Forest Lake Collection. You can also add hotel accommodation information, directions to your wedding, registry information, venue details and more. Adding a link to your wedding website will also give your guests the option to get additional information online. The additional information cards gives you some extra wiggle room for details! 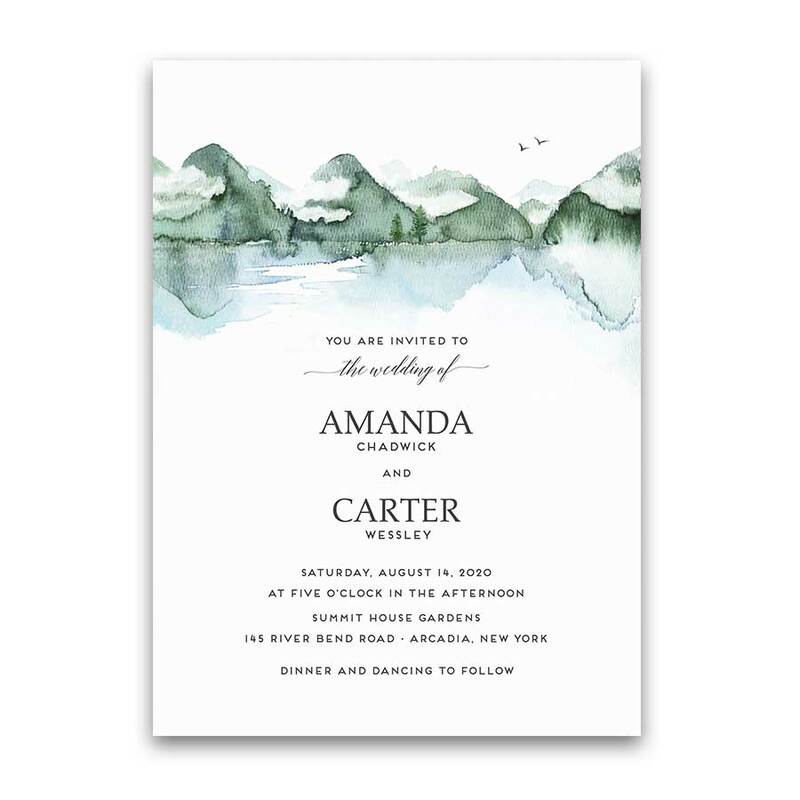 Moreover, customers can buy an entire wedding suite with the same mountain style in the store. Therefore, click on any item below for coordinating products in this design and let’s get your wedding planning underway! Welcome to the Highlands Collection. 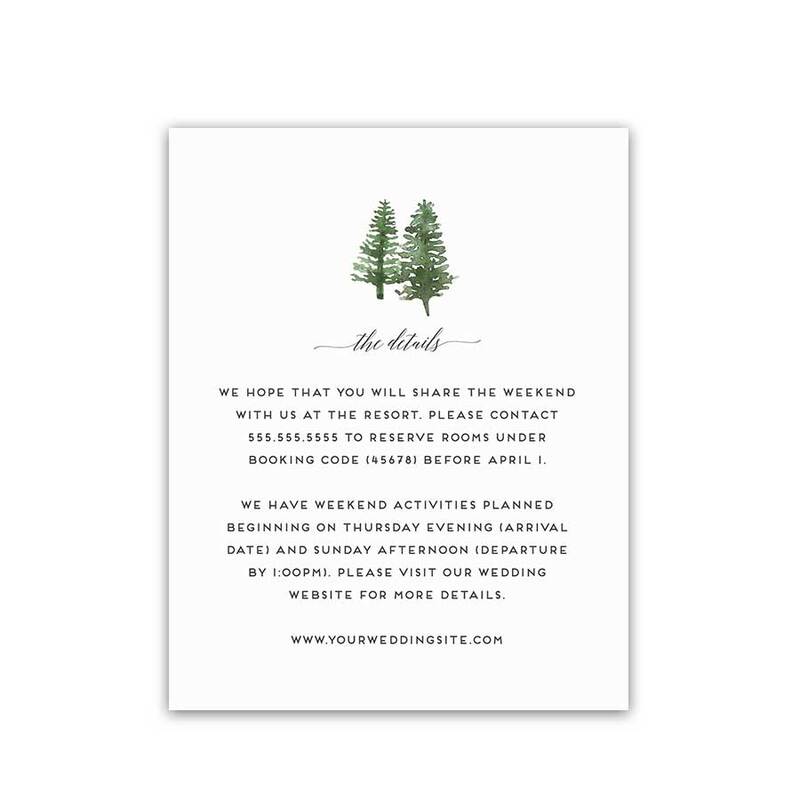 We prepare the Mountain Wedding Information and Event Details Insert Card for you in a size we will determine based on your wording. The cards fit easily into the main outer envelope. 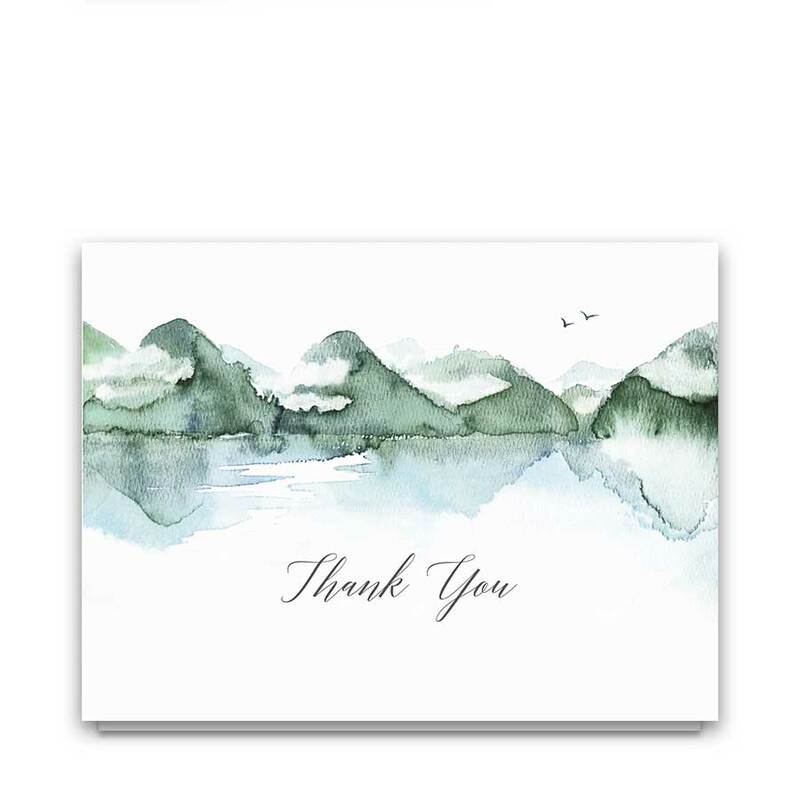 Cards arrive printed on our gorgeous #120 Signature paper. In addition, the back side of the invitation may have additional design and text. Your wording added to the card determines the size we will use. Proofs allow you to have the opportunity to review the design for errors and make changes prior to printing.